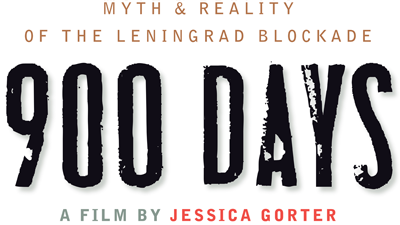 900 DAYS is a documentary about the Blockade of Leningrad during World War II. 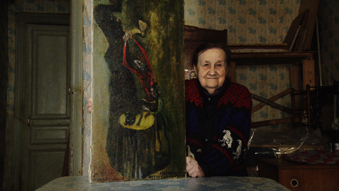 The film presents an emotional picture of the struggle of some survivors, whose personal memories tend to be overshadowed by the heroic myth held up by the authorities. That myth is in painful contrast with the horrific truth they were forbidden to mention all these years. Is it better to acknowledge the almost unpalatable truth, or to embrace the comfort of a myth? From September 1941 until January 1944, Leningrad was sieged and blockaded by the German army. The nearly three million inhabitants were trapped inside the city like rats. In subzero temperatures people had to eat glue, leather soles, cats, and sometimes even their fellow human beings. After 900 days, almost a million people had died. All this took place in a country where propaganda was more important than truth. For decades afterwards the survivors were forbidden to speak about what had happened to them so that the heroic myth of the “land of victors” would not be undermined. And now, with Putin in power, the myth is being revived. 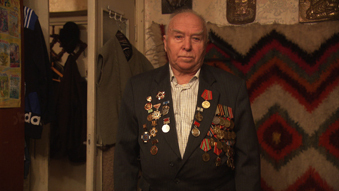 What starts as a film about personal testimonies of the blockade of Leningrad gradually turns into an epic story about how censorship, propaganda and fear get a grip on the memories of the main characters. A struggle that is still ongoing today.